It’s 1971 and a horrible murder has occurred near the town of Breda in west Michigan. A young woman, Jane Lucas, has been stabbed. The letters ZOSO from the Led Zeppelin album have been written in blood on her waist, which leads the police to think it might be a cult murder. Suspicion falls on the commune located on a farm near the town. The shock and horror townspeople feel after that murder, though, are nothing compared to the shock and horror they feel when another murder and then another murder of the same type occur. 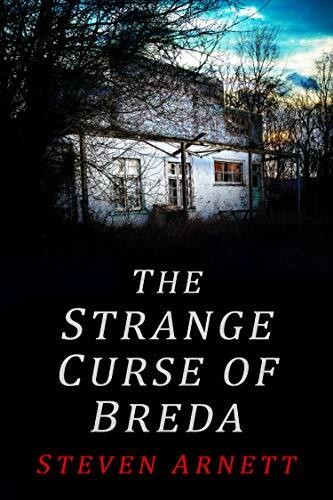 The Strange Curse of Breda is about those murders and how they are finally solved. As each murder occurs, the level of fear in Breda intensifies, until the townsfolk either flee the town, arm themselves to the teeth, or fall into an almost catatonic state of fear. The police are baffled. However, Jim Leiden, a young man who runs a small grocery in Breda, discovers a clue that may link all the murders together: The hanging of Obadiah Kurtz in 1889. He ends up in a race against time to find the murderer before he can kill the only person in the whole world who really matters to Jim: His beautiful fiancée Julie Veere, who is one of those direct descendants!